This was one of my first French classics and unfortunately one that I haven't read in several years. The story is so intense that last time I felt completely wiped out when I reach the last pages of this incredibly rich and emotional roller coaster. This fragile and turbulent first half of the 19th century France is not my favourite period but Hugo's realistic social portrait (and Jean Valjean !) win me over immediately. 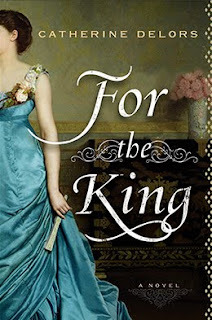 Catherine Delors is in my auto-buy list since I first read For the King and she is one of my favourite authors in what concerns historical fiction in general. Not only her stories are captivating and her characters complex but you can feel that behind her effortless style there’s an extensive research that make everything so special. Also, if you have a huge crush for Paris like I do, both her books will be a delight. Last time I checked, Delors was writing about witchcraft and werewolves which couldn’t please me more. Can’t wait ! 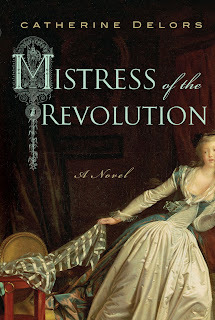 You can also read Ana's review of Mistress of the Revolution and the conversation that Ana, Marg and I had about For the King. 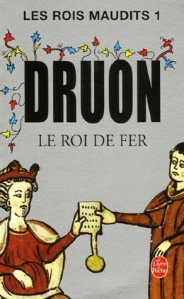 The Iron King (Le Roi de Fer) is the first book of an historical French series named The Accursed Kings (Les Rois Maudits) written by Maurice Druon. The story is set in the 14th century France during the last years of the reign of the King Philip IV, the Fair also known as The Iron King. The Accursed Kings series by Druon is considered a classic in France, and every history buff I know read, at least, the first book – The Iron King. I reviewed it some time ago when I had the chance to reread it during the release of a new edition of the series. The books were adapted to the screen twice, even if the 70's version is far better. Unfortunately, I don't think this was ever translated in English. 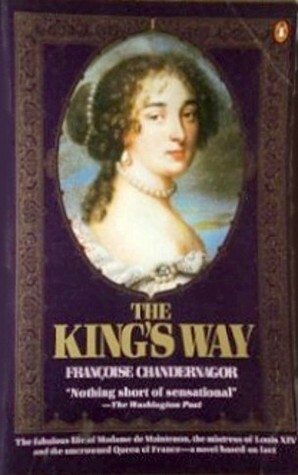 A magnificent story beautifully written about Françoise d'Aubigné, Madame de Maintenon. We follow the life of this intriguing and fascinating woman who becomes the king's favourite and his "secret" wife. This book is definitely one of my favourites set during Louis XIV reign and a must read. 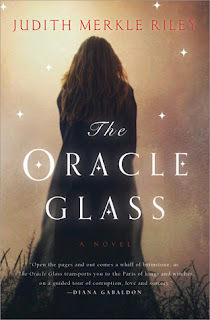 Genevieve is a precocious girl with the remarkable power to read the future in a water glass. Left for dead by her family, she is taken in by La Voisin, who rules a secret society of witches that manipulate the rich—from tradesmen all the way up to the king himself. Again another book set during the reign of Louis XIV and one that is been waiting in my "to be reread" pile for some time. I read The Oracle for the first time in my late teens and I kept wonderful memories of this book. It's the perfect mix of intrigue, love, history and politics. The main character, Geneviève Pasquier is the kind of heroine impossible not to like and who makes this brilliant story even more interesting. Do you have any HF favourites set in France that you would like to share ? Thank you for this list! I was thinking about French HF this month while doing September in Paris. I'm a fan of Judith Merkle Riley too. Wish she had more books. There is a disturbing and fascinating book you might like, called The Witches, by Francoise Mallet-Joris, based on three actual cases. Probably hard to track down. Also wondering if you have a preferred translation of Les Miserables? I didn't know Francoise Mallet-Joris but I found a copy of The Witches. It sounds just like my kind of read. Thanks ! 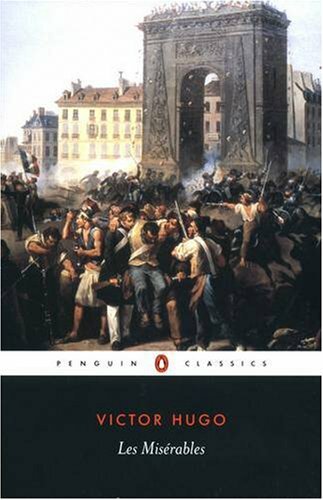 I read Les Miserables in French, so I really can't recommend a good translation. Maybe we could ask this to our readers and see what they think. I read The King's Way years ago and loved it. I never knew it had been made into a movie, I must track it down. Thanks for the list. Thanks for this fun list. I would add Abundance: A Novel of Marie Antoinette by Sena Jeter Naslund, and Madame Tussaud, by Michelle Moran. There's a great historical mystery series by Susanne Alleyn, also, that's set during and after the French Revolution in Paris. One of the recent ones is Palace of Justice. Thanks for sharing ! I'm taking note of Susanne Alleyn's mystery series. Don't tell me you've never read Scaramouche! I haven't read 'Les Misérables'... I hope I'll be able to make it next summer though! 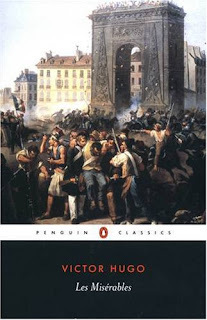 Victor Hugo has written my, so far, favourite historical fiction novel set in France, Ninety-Three. Some great books here Alex.